‘A Doll’s House’ is a Norwegian play produced by Henrik Ibsen in 1879. In ‘A Doll’s House’, the protagonist Nora is forced to evaluate her life and the roles she plays – as a wife, mother, worker and a person. The play was highly critical of the marriage norms of the time, and so when it premiered it provoked great controversy. This play broke with many traditions of the time and helped usher in the realist movement. 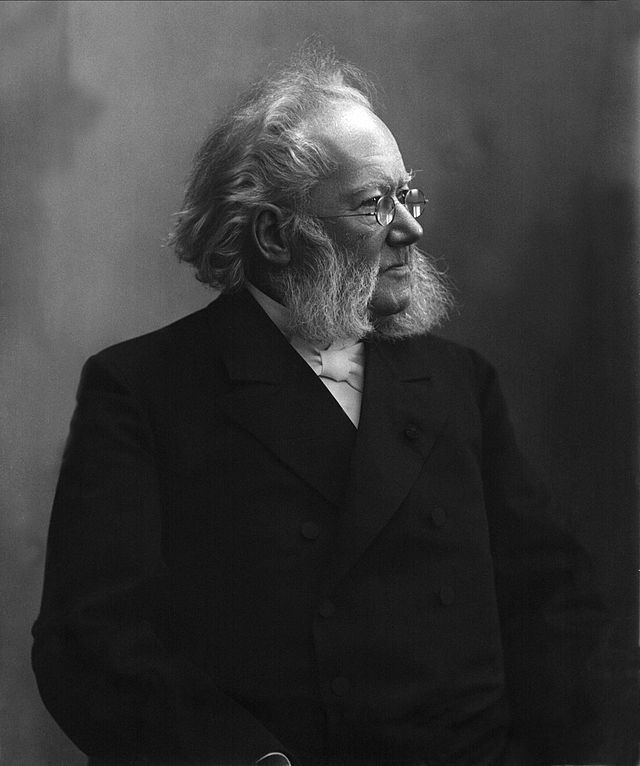 Ibsen has been dubbed ‘the father of realism’ for creating a play that focused on everyday people experiencing everyday problems. Ibsen himself said he wasn’t necessarily arguing for women’s rights specifically, but rather human rights. Times have changed since the 19th century and modern audiences might not fully grasp the impact of the characters and events of this play, and so it is an excellent choice for part 3 – literature: texts and contexts. A few notes about the author. Some introductory discussion questions to get us thinking about key themes of the play. An analytical summary of the play – comprehensive! Developing vocabulary. Activities for developing an understanding of some key vocabulary from the play. Comprehension discussion questions. To use in our groups following each act. Study guide – Act 1. Study guide – Act 2. Depth study questions. To use once we finish reading the play. Symbolism and motif in ‘A Doll’s House. A summary with quotes. First of all: Great website with awesome resources!!! Thank you! May I ask, which edition of A Doll’s House you use with your students? Do you use an annotated edition with study questions etc. or would you rather recommend using a rather “plain” edition? I use the Cambridge Literature edition as it has some brief but accessible study notes attached. ISBN: 0-521-48342-5. There might be a better edition out there somewhere, but I definitely recommend one with study materials included. Thank you so much for these absolutely fantastic teaching reasources. They are life saviours and make lesson planning so much easier. Could I ask you what secondary reading you use for the class? In the Depth Study document students are asked to prepare their answers based on pages 88-118, and since it seems all major play topics are covered there I was wondering what book that is. Thank you so much for posting your activities for “A Doll House.” As a first year AP teacher, I am struggling to come up with ideas, read the literature, and give rigorous assignments. Your website helped immensely.